Ok so its been a while since I have posted here many reasons, one of being the recovery from Supercrawl, I don’t know if everyone was like me but I had a blast despite the rain! 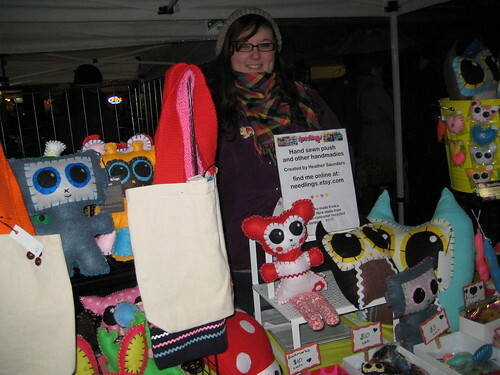 Here’s a article about Dane and a photo from the night out of someone at makers market….. This entry was posted in Uncategorized and tagged Dane Peterson, Flicker, Loose Cannon Gallery, Needlings, supercrawl, supercrawl hamilton on October 17, 2009 by admin.